U.S. women’s national team: What are they doing? I figured it out. The USA is playing a 4-3-3 formation with fluid interchanges in midfield. No, wait — it’s a 4-5-1, with one target forward and two traditional wingers. Or maybe it’s a 4-2-4, with Carli Lloyd and Lauren Holiday as the only actual midfielders. No, no. I’ve got it. It was Col. Mustard with the lead pipe in the conservatory. In some senses, the Jill Ellis Way isn’t all that complicated. 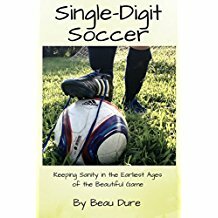 At least, it wasn’t in Monday night’s rather routine 6-0 rout over Haiti that clinched first place in their World Cup qualifying group and moved the team into the semifinals, the first of several chances the team could have to make it to Canada 2015 but also the only chance they should need. – a traditional back four (Whitney Engen took a turn at center back in place of Becky Sauerbrunn, while Kelley O’Hara joined the right back mix, but neither Engen nor O’Hara made a compelling case for the starting XI). – Lauren Holiday in her new spot as a deep-lying midfielder who can switch the point of attack and play long through balls. – Carli Lloyd in her central not-quite-defensive but also not the playmaking midfield role. – Tobin Heath (left) and Christen Press (right) on the wings. – Abby Wambach as a target forward, putting to rest (for now) the talk of making her a sort-of playmaking midfielder. – Megan Rapinoe all over the damn field. U.S. Soccer calls it a 4-3-3. That’s about as close as we’ll get. Ellis has been fond of using numbers rather than names to refer to positions. The left wing is an 11. The right wing is a 7. Center mids who are not the attacking midfielder are 8 and 4, though the 8 may attack more than the 4. The numbering system is an odd fit for this team. It dates back to a particularly rigid era of English tactics, when Hungary could turn up at Wembley and completely flummox the hosts by dropping the center forward back into midfield. This team is more fluid than that. Particularly in Rapinoe’s case and to some extent in Lloyd’s. The wingers are sometimes midfielders, sometimes forwards. Ellis said the team’s “mantra” is to get that early goal and set the tone. So it was little wonder that the formation looked like a 4-4-2, with Heath, Wambach, Rapinoe and Press all surging ahead like a direct counterpart of Haiti’s back four. But it didn’t really work. The USA got an early lead off a Haitian lapse, with the visitors’ defense clearing the ball and pulling up but making the crucial error of leaving Wambach unmarked, then failing to account for Lloyd firing home after the keeper punched clear of Wambach. A few minutes later, the fault lines in the attack appeared — a cross went into space that Wambach and Rapinoe occupied. The moment of “I got it, no, you got it” hesitation surely cost the USA a second goal. Asked if she and Wambach realized they shouldn’t be in the same place, Rapinoe laughed in agreement. It didn’t matter on this night, of course. Haiti had nothing to offer. 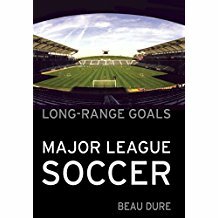 By my count, they got into the U.S. box with the ball twice, tumbling each time as if in search of some call from the referee to give them a chance at the penalty spot. Their best chance was in the 33rd minute, when the USA faltered in the center at let Marie Jean Pierre race toward the goal, but Whitney Engen recovered and put her foot directly in front of Jean Pierre’s 25-yard shot. The other Haitian chance, if we’re stretching the definition of the word “chance,” was from roughly 35 yards out and near the right sideline, struck hard but nowhere near Ashlyn Harris’ goal. Shek Borkowski, the affable Polish-American coach who has made Haiti his major project, gave a mixed report in the press conference. It was something along the lines of “Yes, we’re making some progress, but these players need to avoid getting caught up in the excitement of staying in nice hotels, a lot of these players are on the way out, I’m off to coach the U20s and get them ready to replace the senior players, good night.” He made no effort to hide his team’s strategy for this game — bunker and counter — but they simply weren’t effective. Trinidad and Tobago showed that it’s possible to pull a near-upset with an organized defense and an intelligent counterattack, but Haiti had neither. And so we didn’t learn that much from this game. Meghan Klingenberg looked great going forward from left back, combining with Tobin Heath for some creative flank play that provided some relief from the endless parade of crosses, and she scored her first international goal on a blistering drive from 25 yards out. But can you anoint her the new left back starter after a game in which she was hardly asked to play any defense? Here's that Meghan Klingenberg goal again: https://t.co/V5WGvgBhi2 Has to be said, one of many sensational goals by the #USWNT today. Chris Hummer, the SoccerWire entrepreneur and former Washington Spirit GM, was not impressed with what he saw from the USA. To channel the spirit of Pia Sundhage, my glass is half-full. I saw some creativity on display — some dummies, the occasional backheel, a pretty combination between Holiday and Leroux, etc. Holiday’s quality is a nice fit for that deep-lying (No. 4) role. But it’s true that the U.S. tactics were less than subtle, sometimes bringing up bad memories of the team fruitlessly whacking the ball to Abby Wambach in the 2003 World Cup semifinal against Germany. And again, we’ll have to see if all of these things work against better opponents. How will Holiday fare defending a European playmaker? What happens when the opposing defense does not neglect the towering presence of 173-goal scorer Abby Wambach? Friday night’s semifinal will be a step up in class — Costa Rica, Mexico and Jamaica all look considerably better than Haiti and Guatemala. The stakes are high, so the USA may have to resort to the tried-and-true whack-it-to-Abby ball just to make things comfortable. Then we’ll see what happens when the team tackles more powerful opposition later on. So, Megan Rapinoe, should we in the pressbox and stands give up trying to figure out Ellis’ numbers? She did say Holiday was a 6 and Lloyd was an 8. But some experts on English Football Positional Numbers (EFPN) would say 6 is a center back. Um, no. Look — the English persist in calling center backs “center halves” because, a century ago, the people who wore those numbers were in the midfield of a 2-3-5 formation. When Ellis lines up the team in a 2-3-5, we’ll worry about the numbers again. Just know this — Rapinoe is an effective playmaker with room to roam, Holiday is good the deep-lying role, Lloyd is always going to figure out a way to get into the attack, Heath is creative on the left flank, and Wambach is still a pretty good target forward. And I’m now convinced that the players, at least, know their roles. We’ll see how they execute them against better opposition. – Ashlyn Harris had little to do on a rare start in goal. 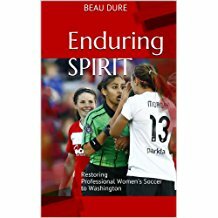 But she did get to soak up the love from her home fans in Washington, where the Spirit faithful chanted her name before kickoff. – Hope Solo was one of the first players to walk past the mixed zone. I didn’t see anyone ask to speak with her, but it’s possible someone down the line asked. The bulk of the media attention was on the goal scorers. – Attendance was listed at 6,421. It felt like more, in part because the area underneath the pressbox and mezzanine was roped off, moving fans either to the corners or to the far sideline, where the crowd was strong and loud. – University of Virginia midfielder Morgan Brian scored a goal to the delight of the plethora of Cavaliers fans in the crowd. She often plays a little farther back on the field, but not this time. – The big game tomorrow sees Mexico and Jamaica play for a spot in the semis. Bookies ain't giving Jamaica much of a chance against Mexico tomorrow. 10:1 underdog at the moment. Hmmm … maybe I should take up gambling. I’d be happy to put down some money on Jamaica at those odds. I think O’Hara is better than Kling. Note that O’Hara played right back instead of her normal left back, this may be the first time O’Hara has spent any real time at right back? If the battle is between O’Hara and Kling for left back I’d chose O’Hara because I think she contributes more to the attack, she is quicker, she plays tougher, and despite being the same age she has far more top international experience than Kling. Kling scored an incredible goal but one goal from a defender against Haiti does not mean much. Against Haiti, Guatemala, etc. its easy to look good but against stronger competition Kling has failed to impress me where as O’Hara seems to step it up in big games and against better teams. For some reason Ellis has barely given O’Hara time at left back which baffles me because until Ellis’ appointment when healthy O’Hara was the de facto starting left back for Sermanni and for Sundhage since 2012. I don’t see what O’Hara did to lose favor nor do I see what Kling has done to gain favor. I predict that the upcoming tournament in Brazil and the Algarve Cup will show O’Hara to be the superior option, hopefully Ellis sees this as well. I do think Kling is still talented and deserves a spot in the squad for sure, but I think she would be better as the sub with O’Hara and Krieger starting as the outside backs.